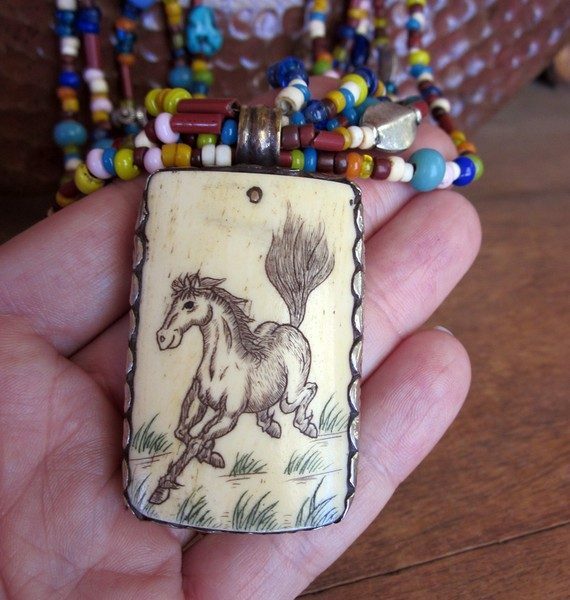 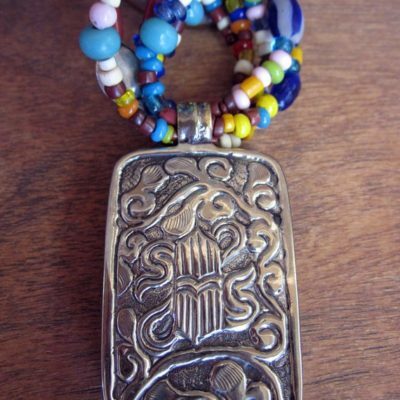 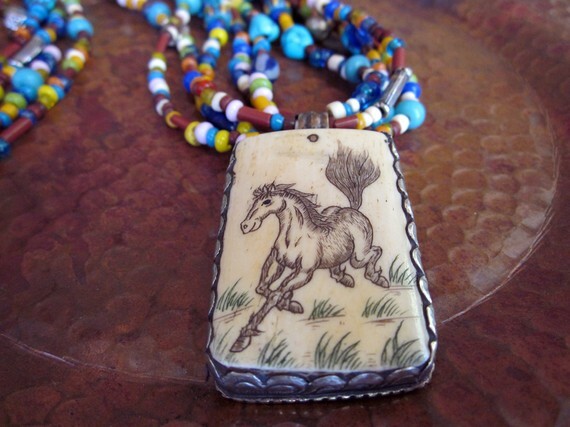 Retro Ranch Multi Strand Bead Horse Pendant Necklace designed by Claudia. 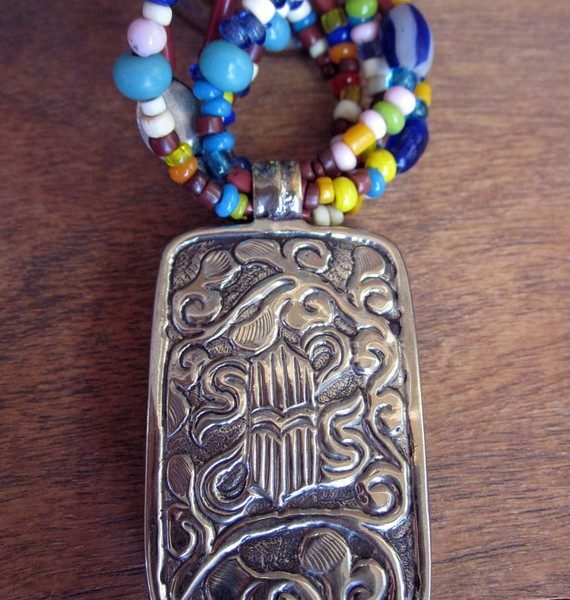 There is just something about this piece that speaks of another time. 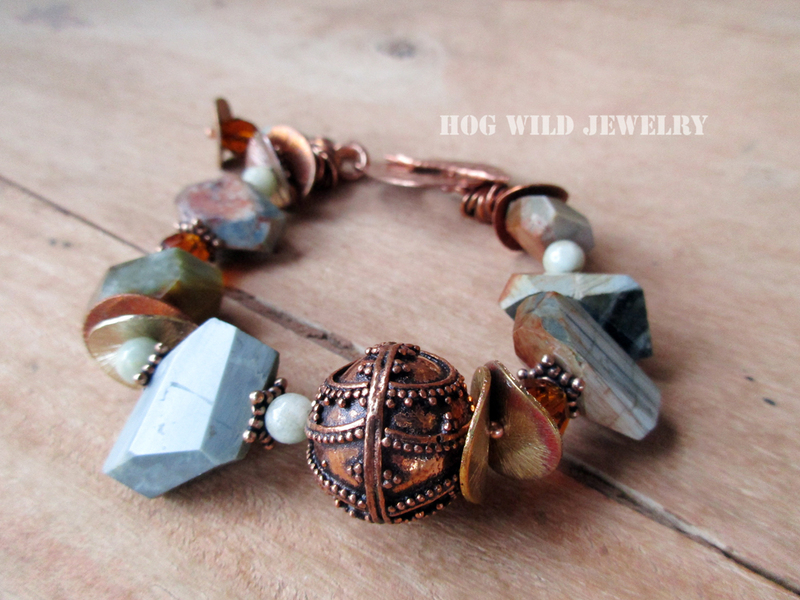 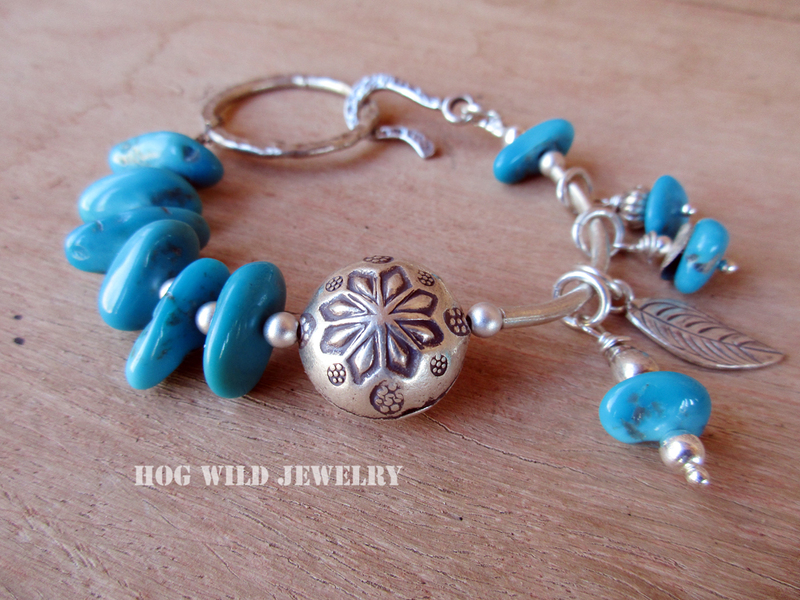 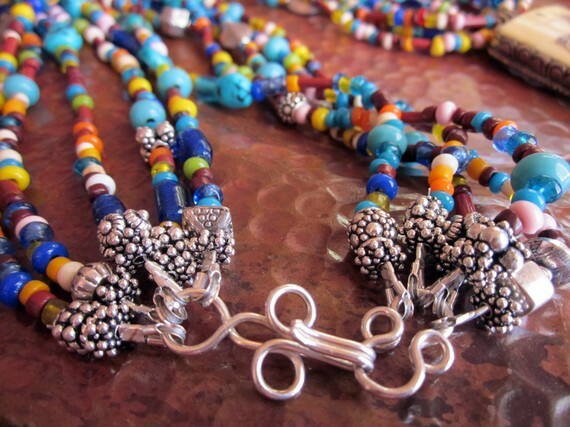 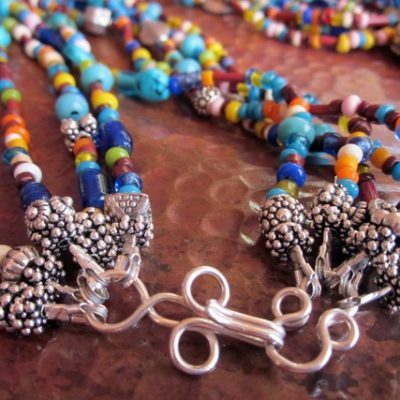 Five strands of hand strung beads with a variety of stones, like Turquoise, Sterling Silver beads and even buttons! 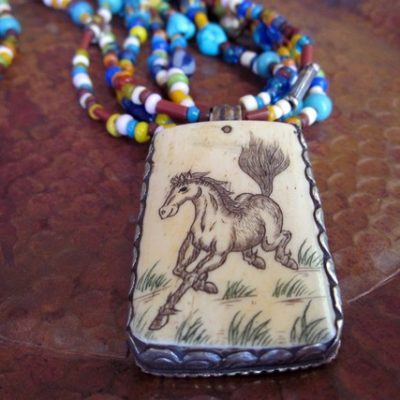 The focal pendant is fantastic with a carved horse in ivory tones and an oxidized retro feel. 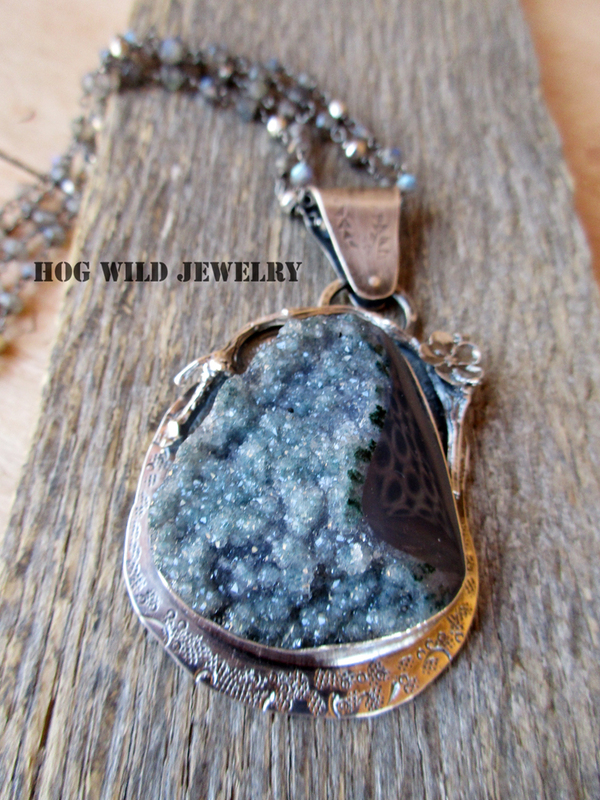 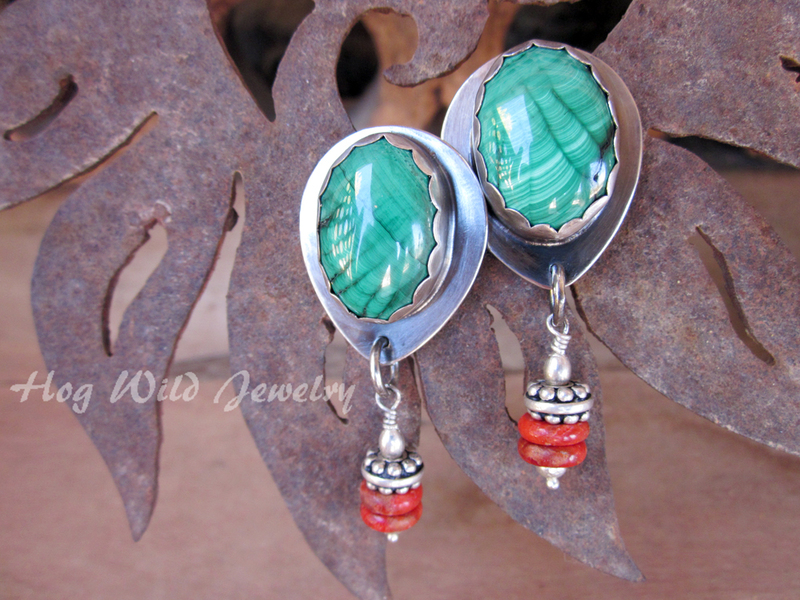 Very dramatic statement piece that can stand alone or be paired with a chunky silver necklace.